Today is iPhone XS, iPhone XS Max and Apple Watch Series 4 launch day, in case you missed it, and Apple is marking the occasion with the first real use of its .apple top-level-domain. Having owned .apple since 2015, this is the first real public use of it, and if you visit experience.apple/iphone right now you’ll be treated to a pretty nifty little 3D animation of the iPhone XS and iPhone XS Max. 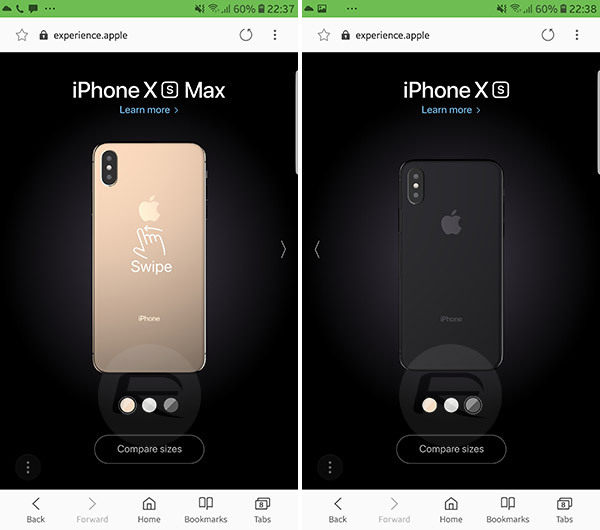 Apple is currently pushing people towards this site via its social media profiles, instructing potential buyers to “experience iPhone” when they do. 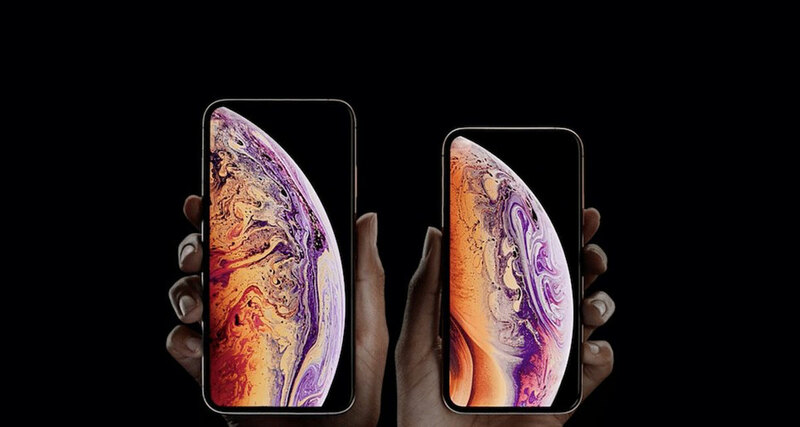 Once people arrive at the website on their smartphones they’ll be shown an iPhone XS and an iPhone XS Max, with swiping the display switching between the two. Tapping will change the color, allowing people to see Gold, Space Gray, and Silver in all their glory. Want to see the iPhone from a different angle? No problem, just tilt your phone and watch the 3D image rotate, as if by magic. Along with the 3D image, users are also shown little tidbits of information about the iPhone XS and iPhone XS Max, such as the screen size, improved Face ID and gigabit LTE. There is no information on pricing or other such tidbits, with that kind of information reserved for the apple.com website. 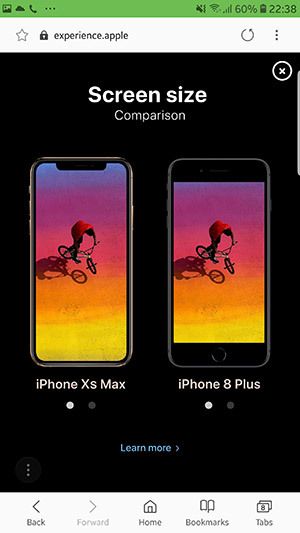 People can also compare the two devices for size, though, with the iPhone 8 and iPhone 8 Plus used for size comparison’s sake. With the iPhone XS and iPhone XS Max now out in the wild, we await the arrival of the mid-range iPhone XR, a phone that will arrive next month and is arguably a better option for many people – particularly given the relatively inexpensive price point.